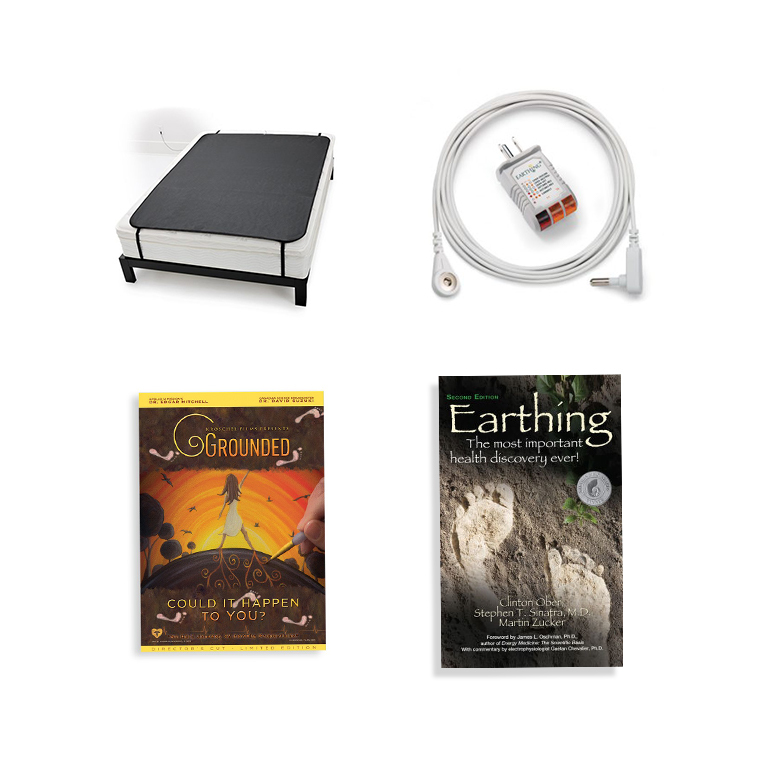 Enjoy a deeper sleep and wake up feeling refreshed with The Ground Therapy Large Sleep Mat. The updated Sleep Mat is designed with a thinner, perforated 100% conductive carbon leatherette that feels great with direct skin contact or becomes nearly unnoticeable from under your fitted sheet. The conductive side is the smooth, leather-like material and should be placed up, nearest direct skin contact as possible. Use the straps to secure the mat directly to your mattress over or under your fitted sheet to turn your bed into an indoor grounding sanctuary. The Dimensions are 54″ x 72″ and will work with either a Double or Queen Bed. The picture shown is a Queen. In order to use your Grounded Sleep Mat you must connect it to the “ground port” of a grounded 3 prong outlet. Before plugging in your Mat, you must check that the outlet is grounded by plugging in the outlet checker.